"This Is What We Are will strike a chord with anyone who has ever fallen hopelessly in love with a club, of whatever sporting creed. Jack Fenwick takes the reader on an entertaining journey through the sometimes bewildering swings and roundabouts of the Italian rugby scene. We feel his pain when the club he loves ceases to exist and we empathise with him as he tries to make his mind up about the new teams soliciting his affection. 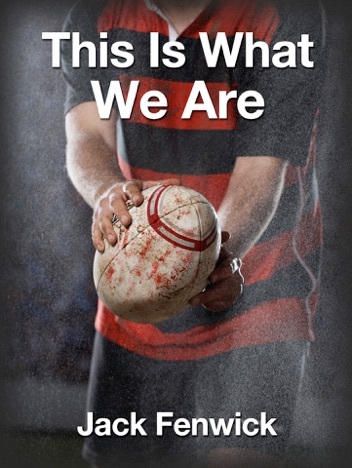 No matter what side of the Great Divide you inhabit, whether rugby union or association football or indeed any other sport, this book will remind you why you sold your soul to the club of your choice, and why all the inevitable lows are necessary so that you can fully enjoy the occasional highs. Thoroughly recommended, a bonus-point victory for the reader." "A rare and passionate insight into Italian rugby"
"This book is a thoroughly enjoyable read for anyone who has ever loved sport and really hits home the strange lives that we lead and the measures we go to for love of our team. Like a first love, the team we support whether it is rugby, cricket, football, basketball, handball or tiddlywinks stays with us forever and no matter how hard we try to let go... it always wins us back. This is What We Are highlights the real heroes of sport: The Fans. Without them sport would be dull and boring and this book eloquently describes the irrational behaviour that supporters go through for the love of their team. A witty, emotional and eye-opening account of what real supporters have to endure for love!" These are the outstanding first reviews of This Is What We Are as it came hot off the presses. So you don’t have to take our word that it’s a great read. Just take theirs!